Pioneering health charity GAFFI is today calling on the World Health Organisation (WHO) to help hundreds of thousand of AIDS and HIV positive patients worldwide by including itraconazole on the Essential Medicine List (EML). GAFFI’s application to the WHO, in collaboration with the International Foundation for Dermatology, pinpoints key fungal diseases in AIDS for which itraconazole is crucial. Itraconazole suspension is ~70% effective for fluconazole resistant oral thrush, and is the treatment of choice for eosinophilic folliculitis, a debilitating, itchy rash associated with HIV infection. Patients with Talaromyces marneffei infection (previously called penicilliosis) and common in SE Asia, also respond really well to itraconazole, as do those with coccidioidomycosis and paracoccidioidomycosis in the Americas. Numerous skin fungal infections in adults and children with HIV infection are not adequately treated with the drug, griseofulvin, which remains on the EML. The availability and cost of itraconazole in most countries is shown on this map and demonstrates the gaps in access to antifungal treatments: Itraconazole is available and approved in most countries, but not all, notably Senegal, Algeria, Afghanistan, Barbados, and Eritrea. It is approved in Dominican Republic, Iraq, Nepal and Ukraine, but not available. (Note: the interactive maps use Flash – to view the maps on iphone or ipad – download the Puffin browser free of charge from apple app store. Puffin displays Flash). View the application for Itraconazole to be included on WHO Essential Medicines List.. Please contact Susan Osborne, Director of Communications at The Goodwork Organisation, on 07836 229208. Notes : Global Action Fund for Fungal Infections (GAFFI) is an international foundation based in Geneva focussed on improving the survival and health of those with serious fungal infections, through universal access to diagnosis and treatment. GAFFI’s efforts are through advocacy, estimating the national burden of disease in each country and health professional education. Demonstration projects are planned in Kenya and Guatemala, and improved diagnostics are in development. Amongst GAFFI’s priority diseases, are histoplasmosis and chronic pulmonary aspergillosis for which itraconazole is a key antifungal. Fluconazole, which is on the EML, has no activity in aspergillosis and is inferior to fluconazole for histoplasmosis, a fungus that lives in the environment. 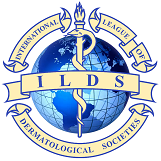 The International Foundation for Dermatology was established to improve the care of patients with skin disease, sexually transmitted infections and Leprosy in under-served areas of the world.